Please note that this current website does not have a shopping cart. 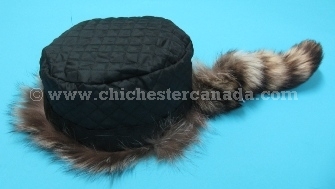 To buy our Davy Crockett Hats online, please go to our e-commerce website at NaturalExotics.ca. 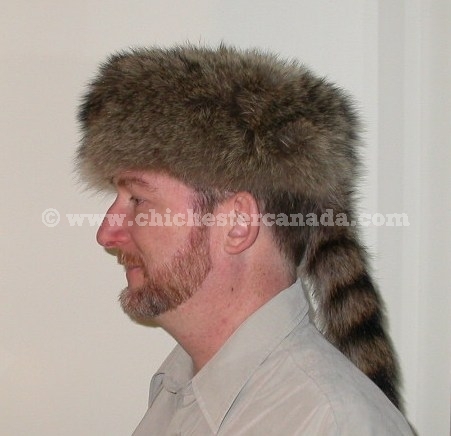 We have several styles of Davy Crockett Hat available. Before ordering a hat, please use a measuring tape to measure the size of your head where the hat will sit to reduce the chance of getting the wrong size. See a headwear conversion chart. If the hat does not fit or you wish to return it for any reason within five days of receipt, please call or send us an e-mail to let us know there is a problem. Upon receipt of the hat in its original condition, we will issue a refund for the value of the hat or exchange it for one that is smaller or larger. You are responsible for the cost of shipping and insurance in both directions. We also have a limited number of Davy Crockett hats made from dyed raccoon. 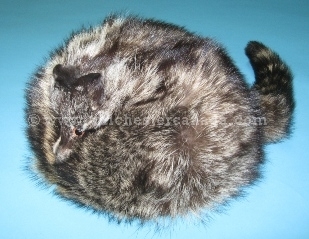 They are of nice quality, quite soft and have detachable tails. 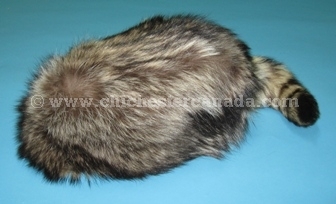 Please see our Gallery on NaturalExotics.ca for more details. These hats are made from real raccoon skins and a quality, long raccoon tail. They are lined on the inside with a detachable tail (by Velcro®). 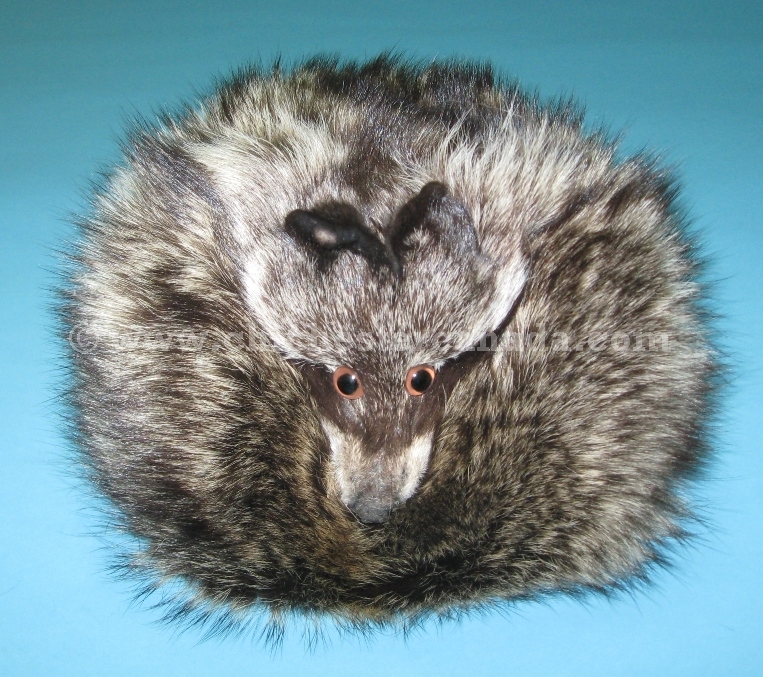 The tails are approximately 12.5" to 13" long. They are made by Greek furriers in Toronto. 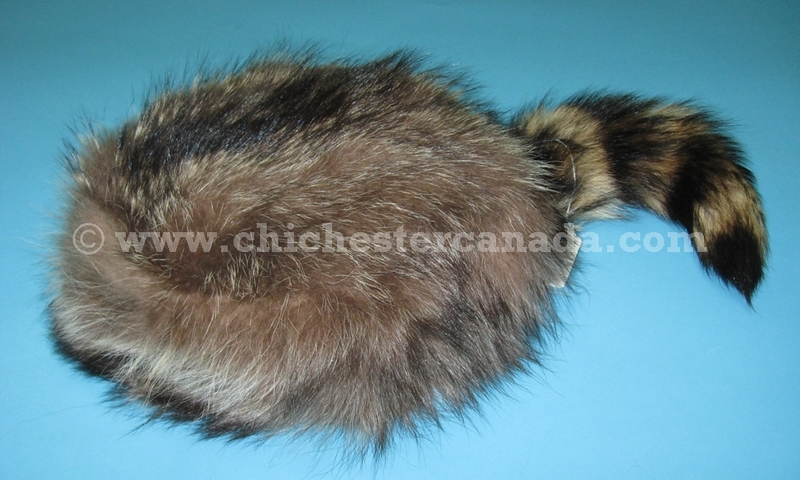 These hats are made from real raccoon skins and a quality, long raccoon tail. The hats are not as deep as the hats listed above. They are lined on the inside with a detachable tail (by Velcro®). 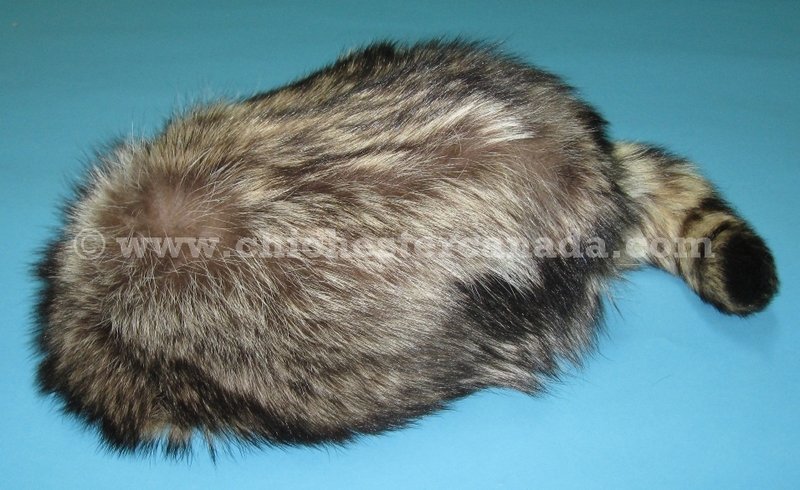 The tails are approximately 11" to 13.5" long. They are made by Greek furriers in Toronto. 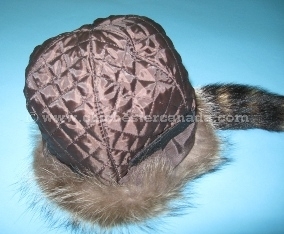 These hats are made from real raccoon skins, raccoon face, and a quality, long raccoon tail. The tails are approximately 10.5" to 13" long. 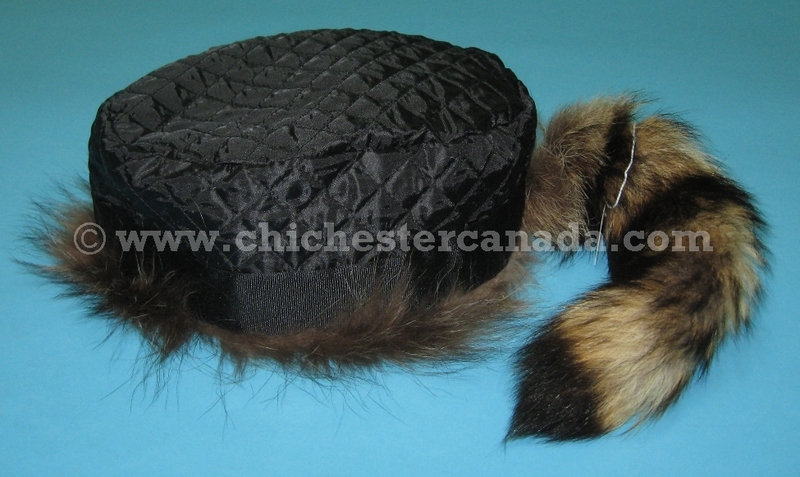 They are made by Greek furriers in Toronto. See a close-up of the face.